The world’s first smoke & carbon monoxide alarm with built-in premium Bluetooth speakers and embedded Amazon Alexa, Onelink Safe & Sound is the ultimate home safety and entertainment solution for all builders. This 3-in-1 device delivers safety, added convenience and enjoyment to every household. 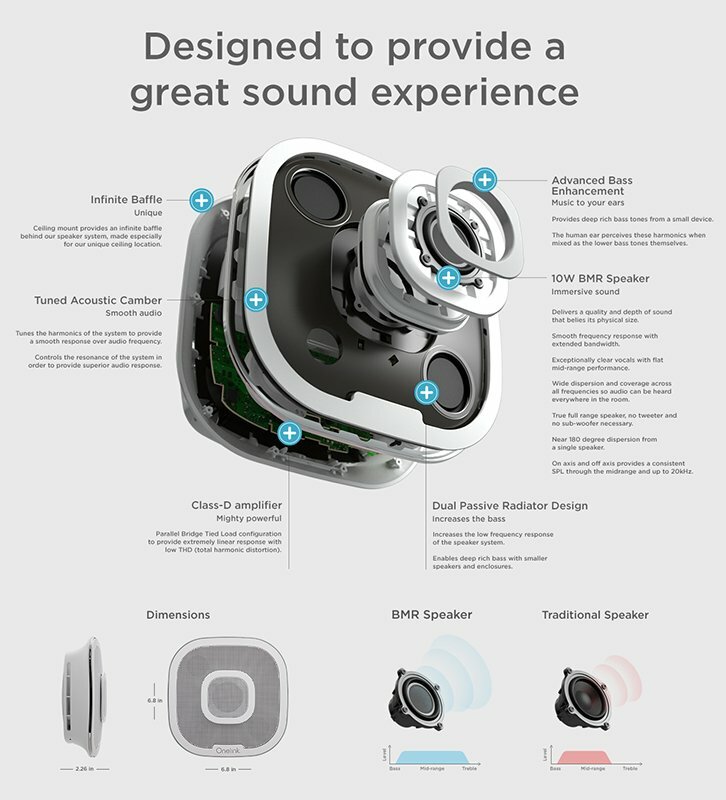 Due to its placement, Safe & Sound leverages the ceiling as an acoustic backdrop & fills the room with immersive, 360 omni-directional sound, optimizing the overall audio experience. This innovative device replaces your existing hardwired smoke and carbon monoxide alarm and offers smart protection, notifying the you both locally and on your phone, of a smoke or CO danger – anytime, anywhere. If there are multiple Safe & Sound alarms in the home, the multi-room functionality allows audio to play simultaneously through all devices. Also included is an intercom feature enabling the users to communicate with other family members in the home. Additionally, the LED nightlight feature allows you to change the color and brightness for a personal touch. 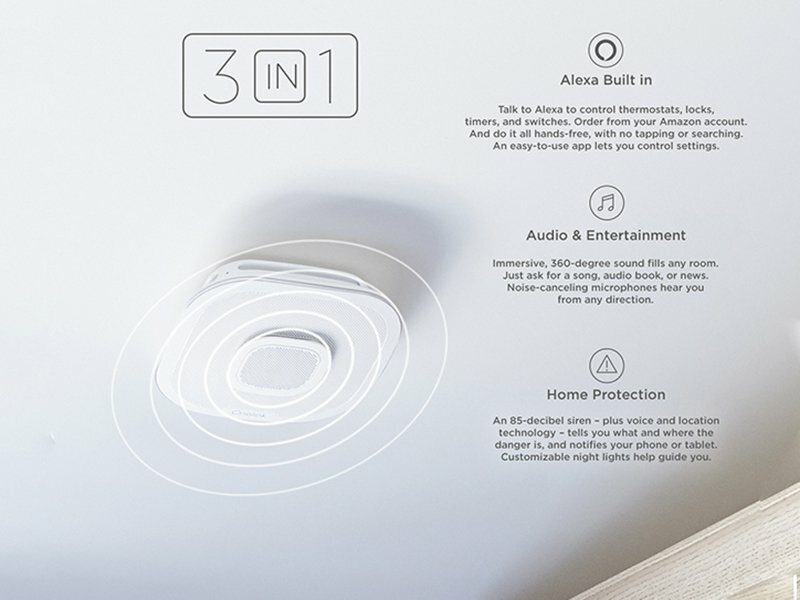 Premium audio, hands-free voice commands and protection throughout the home. Buying a “smart home” is something homeowners are craving for. 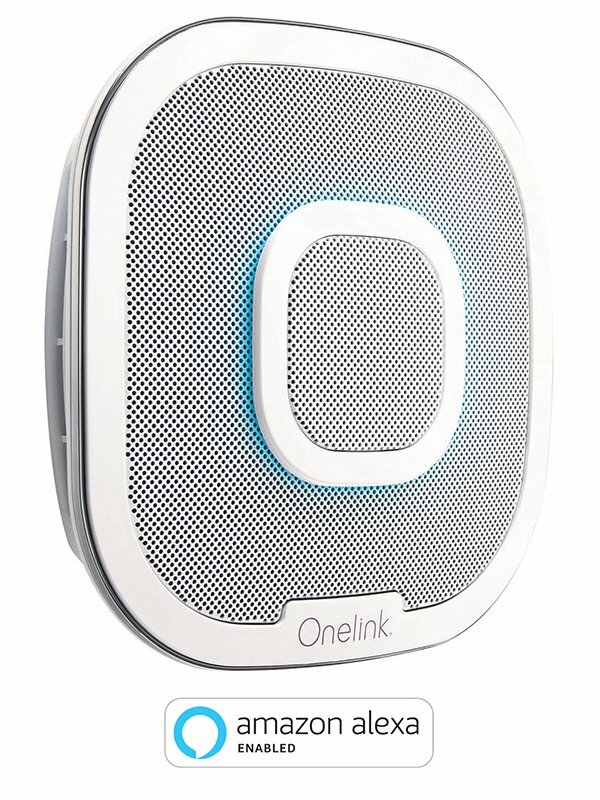 Onelink Safe & Sound provides smart capabilities such as Bluetooth premium speakers, built-in Alexa and multi-room functionality all in the smoke & carbon monoxide alarm footprint that is required by code to be there anyway. Builders can develop their homes with the home owner in mind, giving them high quality protection and entertainment in one. Leading the home safety category, Onelink Safe & Sound also works with Apple Homekit and other Alexa enabled devices as well as being compatible with both Apple and Android platforms so that builders can thoroughly meet their customer’s needs. Onelink Safe & Sound eliminates contractors biggest concern with smart home installs. This device can be mounted, wired and passed through inspection even if Wi-Fi is not yet active in the home, making installation quick and easy. 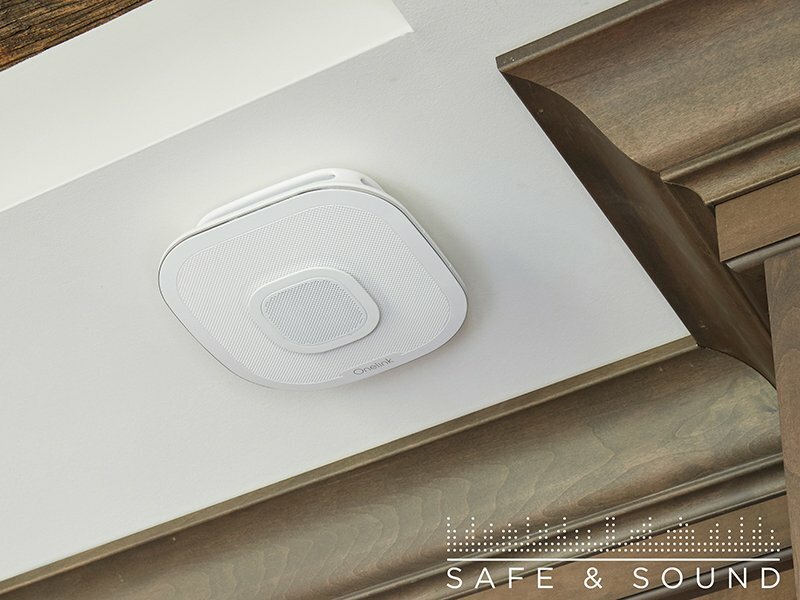 This innovative device replaces the existing hardwired smoke and carbon monoxide alarm and can be interconnected to traditional alarms so when one alarm sounds, all sound – providing a whole smart home with only one Safe & Sound. With Onelink Safe & Sound, homeowners are always connected and always protected. First Alert’s trusted technology for smoke and carbon monoxide detection is the essential trait we are known for. Safe & Sound will warn the homeowner both locally and on their phone to the type of danger in their home and its’ location – anytime, anywhere. While protecting what matters most, homeowners can also enjoy a hands-free voice-controlled speaker with a great audio experience at the same time. Homeowners can ask Safe & Sound to play music and audio books, read the news, control other smart-home devices and more. 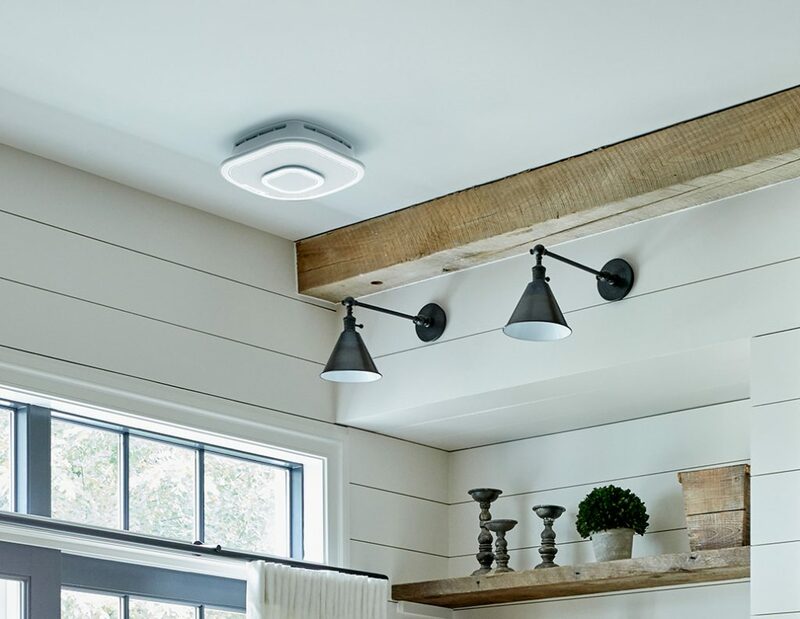 With the free Onelink Home app, homeowners can test and silence the alarm, control entertainment and adjust the nightlight color and brightness. All homeowners are included, both Android and Apple users can use Safe & Sound. They also get the choice to use an Amazon Alexa or Google Assistant voice-service giving them complete comfort.